Photos of the little ones’ integration! At last here are photos of Léonie and N’Dama integration ! It started some weeks ago and it’s now over. Or almost, as our two little girls don’t spend the night in the nursery with the rest of the group. The welder will come next week to add a 5th cage so the girls could have their nap and sleep at night with their group. For the moment, they have to go back to their room. The nursery is fitted with 4 “small” cages where 2 babies sleep in hammocks during nap time and at night. They are like their room; they are cosy and give them the feeling of security they need to feel safe. 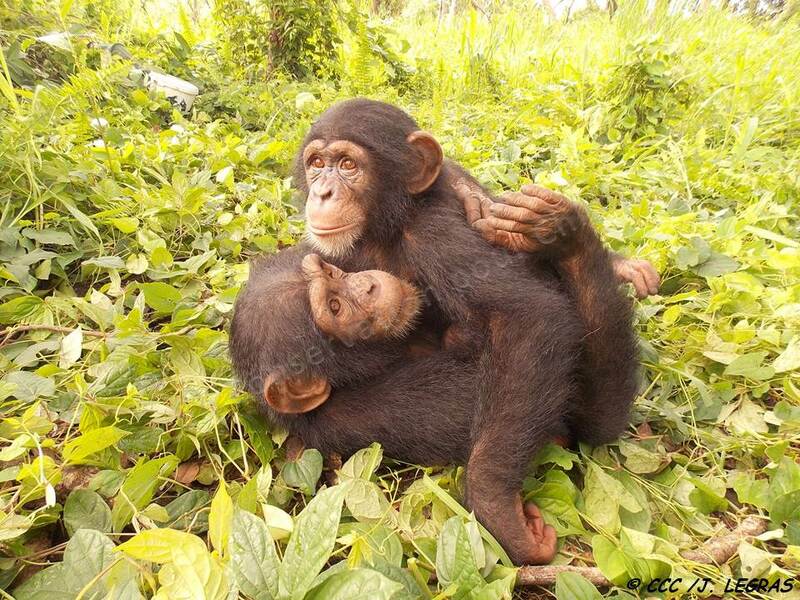 And it’s also a security for us to be sure the babies have their sleep, otherwise they wouldn’t stop playing together! During the walks, Tango is always with N’Dama and everybody wants to groom Léonie! 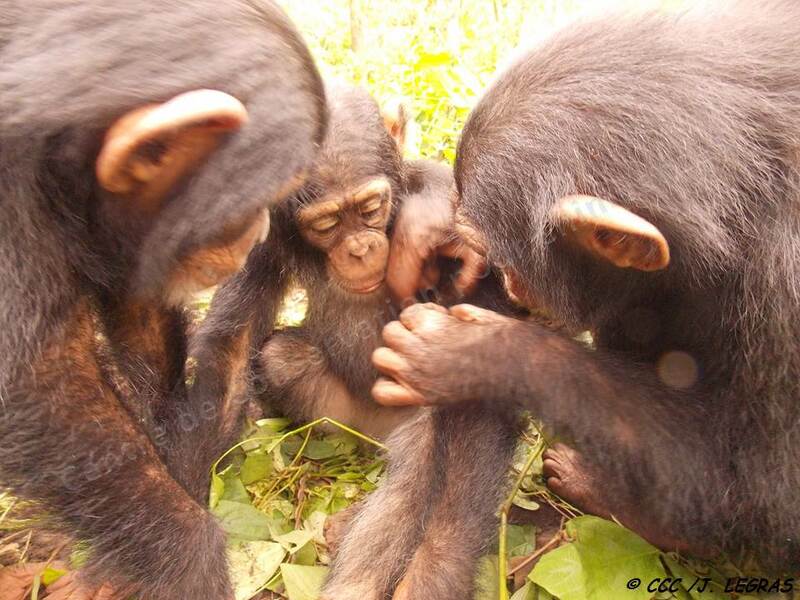 It’s a relief to see these little orphans re-creating the family they have lost!